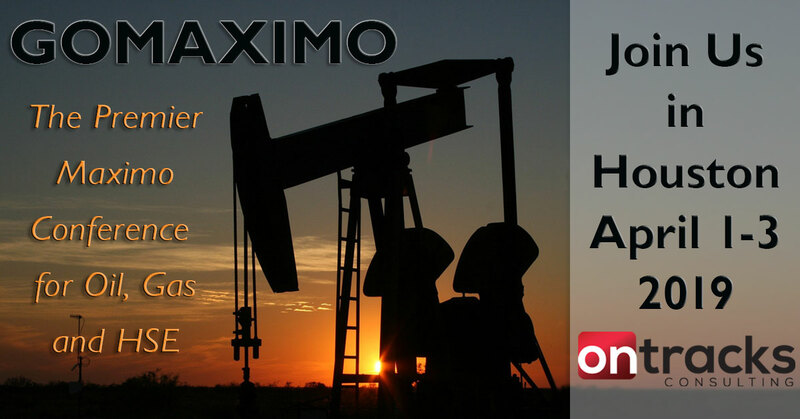 HOUSTON TX – FEBRUARY 09, 2019 – Ontracks is pleased to announce they will be attending GOMaximo, the premier conference for IBM Maximo Health, Safety and Environment (HSE), Oil and Gas implementation. The annual conference will be held April 1-3 in Houston, Texas. In its 12th year, GOMaximo is an end user conference and workshop providing Maximo , seminars, presentations and networking, as well as IBM and business partner training sessions. Ontracks will be a platinum sponsor, and invite attendees to learn more by visiting http://www.gomaximo.org. Ontracks Consulting is a leading implementer of IBM’s Enterprise Asset Management product Maximo and operational improvement firm, working with clients around the world to improve their operational performance. Ontracks focuses on delivering enterprise implementations and helping our clients realize tangible and sustainable operational improvements.